Leading Manufacturer of puf panel, puf insulated door and wall puf panel from Ahmedabad. 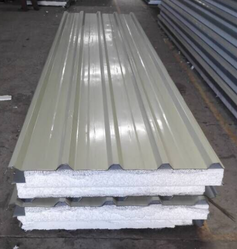 Being a consistent business organization of this highly competitive market, we are providing to our customers an extensive collection of PUF Panel. These are available with us in an assortment of specifications. 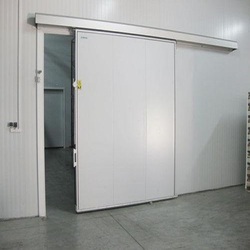 From walk-in coolers to industrial warehouse applications, from Chiller doors to freezer doors, IFPL Cold Storage and Clean Room Doors have Non CFC / HCFC core as insulating material with PPGI Sheets / SS as cladding to meet the demanding requirements. IFPL combines the latest technology, premium materials and design features to provide maximum thermal control. Innovative design produces a strong and durable door system that will perform flawlessly for years to come. IFPL uses magnetic vinyl push in gaskets on all Swing Doors. EPDM gasket that is used is extremely important to minimize energy loss in a cold storage door. Emergency release latch allows the door to be opened from the inside even when padlocked from the outside. Robust construction, which ensures operational reliability even in the most demanding of conditions. Insulation: CFC/HCFC- free insulation material, density of 42 kg/m3. Door leaf: Pre-painted steel or stainless steel. Easy to clean, meets the highest hygiene standards. SS or Aluminium Kick Plate. Hinges: Rising hinges Handles: with emergency opening. High Quality rubber sealing, 4-sided EPDM Gasket ensures hermetic sealing. RAL 9002, 9003, 5012, 6032 SS surfaces on request. 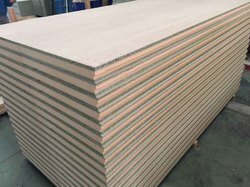 We are the Leading Manufacturer and Supplier of Wall Puf Panel.